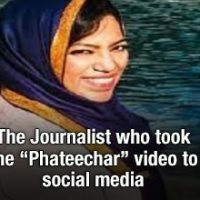 BY.ASGHAR ALI MUBARAK ISLAMABAD. The Minister for Foreign Affairs of Japan, H.E. Mr. Taro Kono visited Pakistan on 3-4 January 2018. During the visit, he held bilateral talks with Foreign Minister Khawaja Muhammad Asif and paid a courtesy call on the Prime Minister. 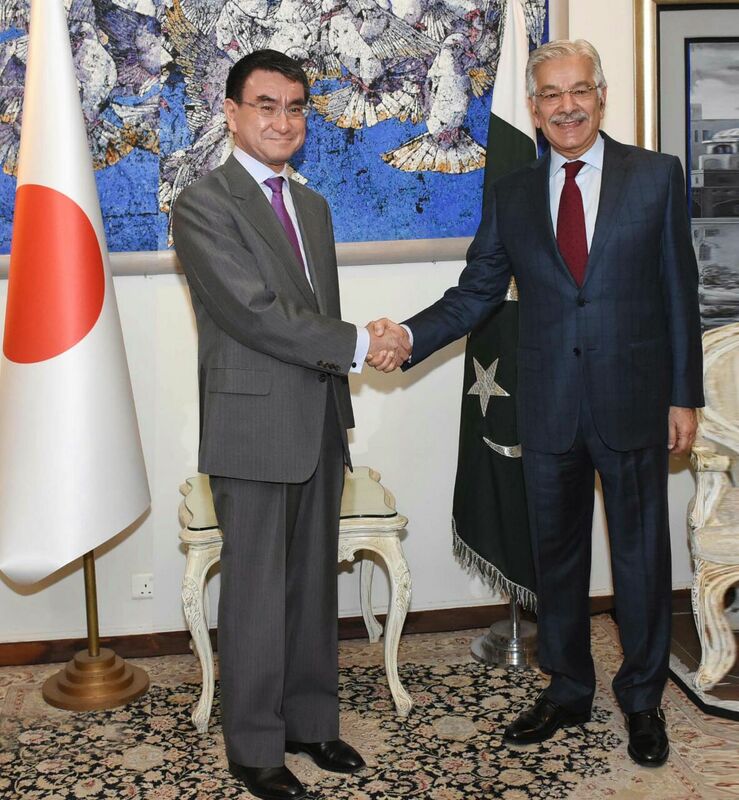 He also met the Chief of Army Staff.While noting that the year 2017 marked the 65thAnniversary of the establishment of diplomatic relations between Pakistan and Japan, the two Ministers expressed satisfaction that the bilateral relations are on an upward trajectory.They noted that the successful convening of a number of institutional dialogue processes covering a wide range of subjects over the last year clearly reflect the growing breadth and depth of the partnership between Japan and Pakistan particularly in the economic realm. They further agreed to maintain the momentum in high level exchanges between the two countries. The two sides also exchanged views on the evolving peace and security environment in their respective regions and on international issues of mutual interest. Foreign Minister Asif reiterated Pakistan’s commitment to a peaceful, stable and secure Afghanistan and support for an Afghan-led and an Afghan-owned reconciliation process. He also underscored the need for sustained commitment from the International community during the transformation phase in Afghanistan and agreed to continue working closely in this regard. Foreign Minister Asif also briefed Foreign Minister Kono on Pakistan’s efforts to enhance regional connectivity and development including through China-Pakistan Economic Corridor (CPEC). 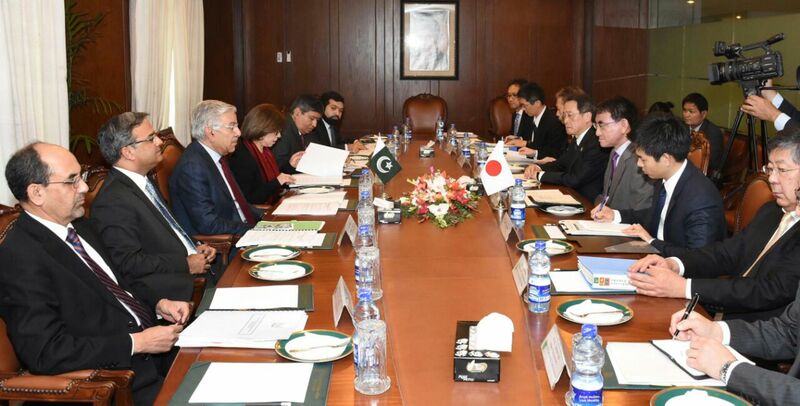 Foreign Minister Asif briefed the Japanese Foreign Minister on Pakistan’s counter terrorism efforts that are targeting all terrorists, irrespective of their origin or orientation. He underscored Pakistan’s continued commitment to fight this twin menace.Foreign Minister Kono expressed appreciation for enormous sacrifices made by the people of Pakistan in this regard and stressed the need for a coordinated international effort in the fight against extremism and terrorism.The Japanese side was also briefed about Indian atrocities and human rights violations in Indian occupied Jammu and Kashmir; and Pakistan’s credentials for membership of the Nuclear Suppliers Group.